Water – Drink more and you lose weight. Simple! Water is great, water is amazing, drink more water, blah, blah, blah. We’ve heard it all before, right? But do you actually drink enough water? If you’re like most Americans, you don’t. Living in a state of chronic dehydration taxes your kidneys, your liver and decreases the efficiency of thousands of processes occurring in your body that require water. Resultantly, you exist in a below-optimum state of well being and you’re fatter than you need to be. In a dehydrated state your body prepares for the possibility of increased dehydration by storing excess water. 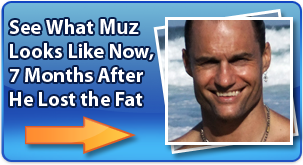 This gives you the appearance of being bloated and smooth due to the storage of water subcutaneously. Simply by drinking more water, your body will flush itself of the excess water it has been storing and you will appear leaner and slimmer. So how do you know how much water is enough? Science recommends you drink 8 glasses of water (8 ounce glass) per day to maintain an adequate level of hydration for a person of normal weight living in a comfortable climate. However, the hotter your climate, the harder you work or exercise and the more overweight you are the more water you need. 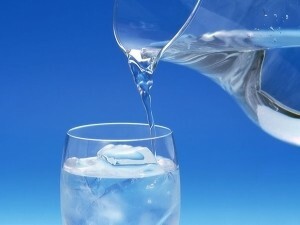 Experts recommend you drink an additional 8 ounces of water for each 25 pounds you are overweight. So if you’re 50 pounds overweight, you should be drinking 10, 8-ounce glasses of water per day. I have water bottles everywhere in my house, car and work area because when you realize how being properly hydrated easily helps you drop fat, it becomes a no-brainer. Drinking a glass of water 8 times a day is a lot less effort than going to the gym for an hour; it’s a big reward for little effort! Use a drink bottle with a sipper or pop-top to increase the convenience and therefore volume consumed. So, again, drink lots of water and lose weight. It really is that simple!